Principal Cast : James McAvoy, Daniel Radcliffe, Jessica Brown Findlay, Andrew Scott, Charles Dance, Freddie Fox, Mark Gatiss, Callum Turner, Daniel Mays, Spencer Wilding. Synopsis: A young circus freak befriends a scientific genius to reverse the effects of death and create new life. It’s fair to say that in the history of cinema, Mary Shelley’s iconic creation, Frankenstein’s Monster, has had an understandably chequered history. My first taste of the story came with the Robert DeNiro version in 1994, a version high in hope but ultimately lacking in execution to the detriment of audiences everywhere. Prior to Victor Frankenstein, the most recent egregious affair involving the legendary creature was the abortive action trainwreck of I Frankenstein, a film so dire in conceit it virtually swallowed its own bodily fluids trying to make things feel fresh again. This film, however, isn’t lacking in freshness; although filtered through a weird post-modern sensibility of collapsing narratives and a requisite finale of explosions and monstrous revelations, and in spite of tripping over its own ability to cohese into something coherent, Victor Frankenstein isn’t entirely without redemption. Unlike, perhaps, the film’s primary protagonist. 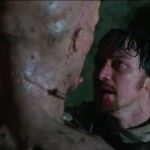 Brilliant medical student Victor Frankenstein (X-Men’s James McAvoy) rescues a resident circus hunchback (Daniel Radcliffe) from a life of torment and misery at the hands of the company’s owner (Daniel Mays), and in the process of correcting his physical deformities, gives him the name Igor and proceeds to invite him to assist in his research into animating dead tissue -bringing life from death. Initially drawn to the world of science and knowledge, Igor at first is a willing assistant, but as Victor’s work becomes increasingly more dangerous and taboo, he finds reluctance setting in. 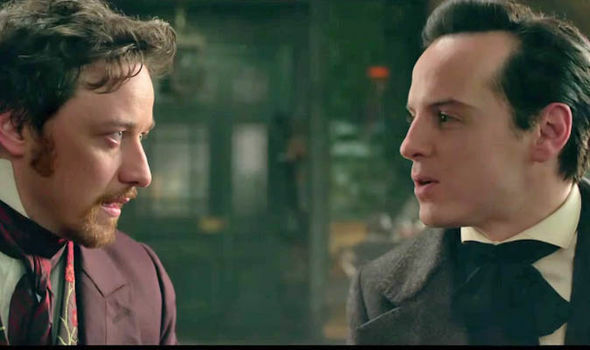 A love interest for Igor, in the shape of former circus trapeze artist Lorelei (Jessica Brown Findlay), as well as an insistent Scotland Yard detective (Sherlock’s Andrew Scott) threaten to undo all Victor’s work, and so when a fellow student, Finnigan (Freddie Fox) invites him to continue his research full funded away from London. The grand plan? To bring to life a human prometheus, to give life to the assembled parts of dead humans and thus restore Victor’s tragic childhood. 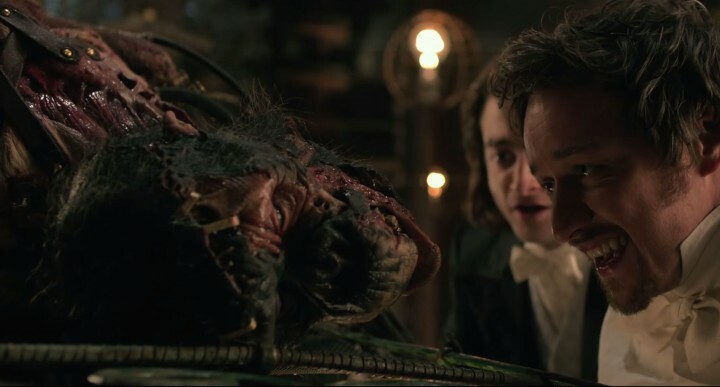 Unwrapping the talent in front of and behind the camera on Victor Frankenstein, this film ought to be a lock for a monster success (pun intended). Sadly, that is not the case, suffering both withering reviews and a sharp decline in box-office attendance. Given the iconic nature of the Monster of Shelley’s story, and allowing for the fact that the film’s very title indicates something of an origin story in the works, perhaps audiences felt it wasn’t a story in need of revision at this juncture in cinematic history – I’m sure Aaron Eckhart would agree with me. 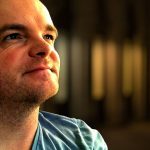 That said, actors of the calibre of James McAvoy and Daniel Radcliffe, both not exactly slouches in the thespian arts, and director Paul McGuigan (who gets a lifetime pass from me for giving us The Acid House, a film so bizarrely un-seen it’s legitimately criminal) aren’t folks you baulk at if you see their names on the poster. Coupled with the writing of current Hollywood pseudo-celebrity Max Landis (responsible for scribing American Ultra and Chronicle), and the music of Craig Armstrong, who has delved into period action films before with Plunkett & Macleane, as well as The Great Gatsby, Moulin Rouge and The Incredible Hulk, there’s no shortage of quality within the creative walls of the film’s vaulted historical pedigree. But it’s not a great film. Sadly, Victor Frankenstein collapses, perhaps under its own weight of cleverness and slick, fast-talking, CG-infused conundrums and ruminations on life, death and the existence of God, but more likely simply because at the end of the day, the film can’t fight its way into a clear field of knowing exactly what kind of movie it wants to be. Whereas Mary Shelley’s original story was analagous to human hubris, tragedy and sense of a lack of control over our own destiny, Victor Frankenstein doesn’t so much crib from these elements as it does rub itself down in them and then pretend its freakin’ fairy dust. Max Landis’ screenplay does tickle the intellect in asking some of the questions one might ask were you to encounter a madman blabbering about bringing the dead back to life, but any sense of this mattering is drowned out in hyperbolic action and nonsensical characterisations. To say the film is ruined by James McAvoy is to be doing a disservice to the poor guy’s acting. In performing as Victor, McAvoy comes across as a kind of meshing of Matt Smith’s Doctor Who, some weird Christopher Lee eccentricity, and a large dose of tremble-lipped modernity, and absolutely none of it works. Considering he’s the lead character, poor McAvoy is shouldered with a rancid, uneven, hysterical performance that undermines a large portion of the story’s inherent tragedy, a tragedy I must say takes a back seat to concussive sound design by way of visual excess. 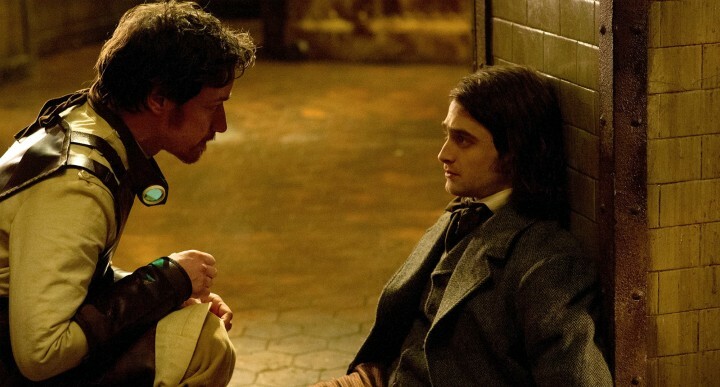 Not only is McAvoy unable to rise above the gleeful screechings of Landis’ apoplectic dialogue, but he very nearly drags poor Daniel Radcliffe down with him. Radcliffe, for all his earnestness, doesn’t strike me as adequate for the film’s depth of humanism and exploration of its core themes. Try as he might, he’s insufficiently capable of drawing any energetic emotion from the role, spending more time looking either confused, befuddled, swooning over the utterly wasted Jessica Findlay, or just being a non-entity in the story overall. I liked the idea that Radcliffe’s hunchback character wasn’t meant to be that way, and that Victor “corrects” his hunch and provides him with something akin to a normal life, yet I never bought into it; Radcliffe’s role just never gelled in my eyes. The film’s central antagonist, Inspector Turpin, is given significant swarthy creep by expert Bad Guy, Andrew Scott, who has become this generation’s Moriarty in the BBC’s Sherlock, and who also went up against Bond himself in Spectre. Scott’s role is the most underwritten of the lot – he provides a fanaticism of religious overtones to counter Victor’s atheistic viewpoint, but the film doesn’t deliver on a mouth-watering sense of engagement between the two, and towards the end Scott is reduced simply to yet another screaming shape raging against a sonic assault of visual and aural afterbirth. As with any major undertaking of this story, production value is of the highest order. The visual effects range from competent to excellent, the set design and location filming is superb, and the cinematography is actually rather lush. But the film has a cluttered sense about it, with every shot and frame filled with not only characters but background “stuff”, as if McGuigan and his team have tried to draw attention away from the fact that neither their leading man nor their narrative are entirely assured. The visual frame of the film is often stacked with bits and pieces of machinery, bookcases, windows, vaguely steampunk-esque inventions and scientific ephemera that, after a while, becomes impossible to distinguish and ends up simply voiding the film’s impact. The grand finale, a Scottish-set castle above high cliffs overlooking the ocean, through which Victor’s grand monstrous masterpiece is born, is both darkly shocking and utterly risible. The monster itself is well designed, but unfortunately comes across as too Man In Suit-ish to land with the cruel emphasis it needs to. This film’s monster isn’t so much the look of everything, but how much they’ve tried to shovel into every single frame of this thing. McGuigan has obviously taken a leaf out of Guy Ritchie’s directorial handbook with regards to equally of-the-period reboot of Sherlock Holmes. That incongruously bad slo-mo effect on random shots, offering naught but extended running time and confusion, as well as often incomprehensible action sequences (a reanimated chimpanzee rampage through London’s medical college is indicative of how some directors don’t get the “less is more” idea) leave viewers wondering if this is an action film, a horror film, or some weird, disorienting combination of both. With all the potential in the world, McGuigan ends up giving us the literary equivalent of a Dan Brown crib-notes version on the “truth” behind Victor Frankenstein, and in removing much of the tragedy and angst of Shelley’s original story, it robs what might have been a valid exploration of what constitutes life in favour of explosions and chase scenes. Victor Frankenstein isn’t very good. It’s not a total disaster, at least not what you’d think given it’s box-office shellacking, and it’s nowhere near as bad as I Frankenstein – that’s about as positive as I can be. 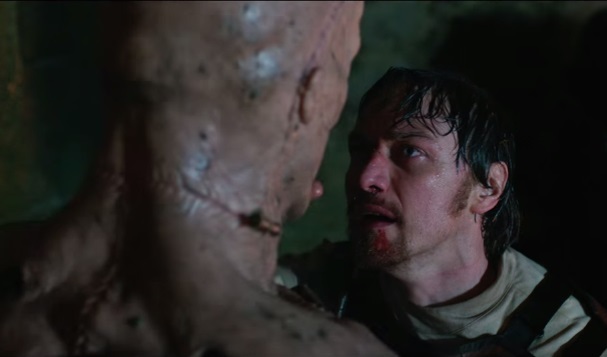 With an awful, awful performance by McAvoy, a desolate one by Radcliffe, and a sense of coagulating plot points just thundering across the screen with the energy of corpse-meat, Victor Frankenstein is a wasted opportunity and a dismal failure. Looks horrible. But considering the source material, they didn't have much to work with. If you haven't read the original Frankenstein novel, don't, it's horrendous. It sounds like this one is better watched for laughs. Exactly, People who use the words "discernment" and "decipherable" in everyday language will abhor this festival of half-baked ideas. Everyone else will probably endure it, or at best, have a chuckle at how stupid it all is.